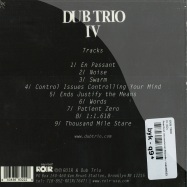 dub trio is back with their fourth and most powerful album to date – iv – an overwhelming blend of sounds, styles and ideas that come out swinging, and hit harder than ever. can metal coexist with dubs bass heavy riddims? 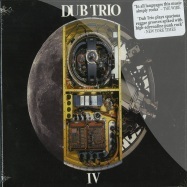 dub trios newest album proves that not only can such incongruities coexist, but that in the right hands they flourish! with iv the band succeeds dramatically at emphasizing the theories, emotions, sounds, and concepts of their current musical exploration. 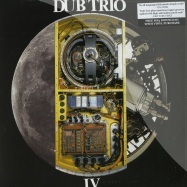 iv finds the members playing multiple instruments, tweaking, turning & torturing knobs, cutting and chopping the audio itself, and shaping the compositions to create their own unique interpretation of dub as an art form. 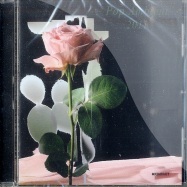 comes with code for free digital download of this album. 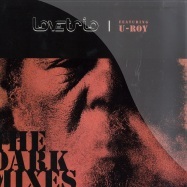 slightly darker, atmospheric mixes with a touch of soul, funk and disco!! now might not be the best point in time to be referencing rolf harris, but.... can you guess what it is yet? it aint gonna be hard for those in the know. the second in our white label series sees a gang of veteran knob twiddlers with over 20 years of experience under their belt. at this stage we might as well just tell you who it is..... but we are still not gonna. 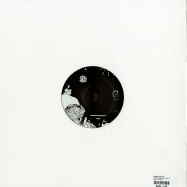 strictly limited pressing. when its gone, its..... copies stashed away in the warehouse to flog on discogs for £300 a pop after everywhere else sells out. 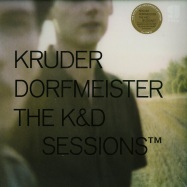 meditative, absorbing dance music in true moritz style — at times seemingly transfixed by its own elements, and minimal almost to vanishing-point, but quickly back ticking, kicking and amassing, with the lethal dubwise density of the classic berlin sound. twelve minutes long, trenchant and forbidding but sharply alive, the dub itself is a kind of deep fort-da gambit which scoops your brain out for a quick sluice, before replacing it slightly skewiff. dont drop your guard because of the tresor. 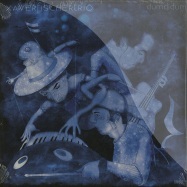 das ergebnis ist ein album im typischen, aber deutlich aufgefrischten xaver fischer trio sound. 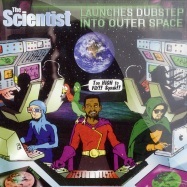 elemente des afrobeats und des jazzrocks wurden ebenso verarbeitet wie die aktuelle dancemusik eines david guetta. uk producer curtis lynch has established himself as one of britain’s most successful reggae producers collaborating with top names such as etana, busy signal, macka band maxi priest. 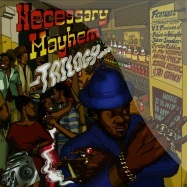 this year he’s stepping things up, and for united reggae he reveals details about his upcoming projects. 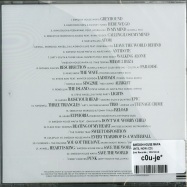 presented together with the interview are exclusive photos and a mix made especially for united reggae. 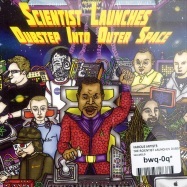 massive 4x12 inch release from the twectonic space camp, featuring all original dubstep mixes of these tracks. 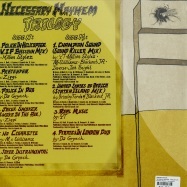 incl toni neumann & x-press remixes !! 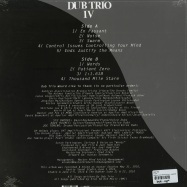 right from new york, usw love trio in dub on nublu records. 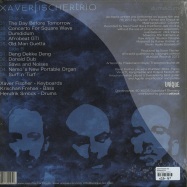 double vinyl in gatefold sleeve with download code included. 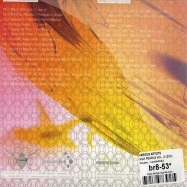 ‘oonops drops’ is the eponymous name of dj oonops’ monthly broadcast on brooklyn radio (nyc). it’s your not average radio show without talk and comments for which he invites renowned guests with their exclusive mixes from around the globe to create timeless and thematic episodes. in the last sixty shows he got visited by artists like morcheeba, guts, nickodemus, the herbaliser, nostalgia 77, boca 45, blundetto, chinese man and many more. this is a journey into sound. a series of journeys across the globe, in-fact. this time with don leisure from darkhouse family. let us tell you a story. firstly, we first need to answer a question. 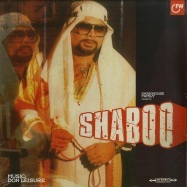 who is shaboo? it began in africa. 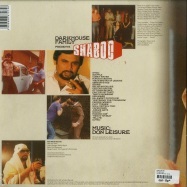 nasser barwani was the son of shabudin. at the age of 15, nasser (don s uncle) left kenya and hitch-hiked his way to london. nasser entered the movie business, occasionally finding himself in front of the camera, acting in bollywood films. it was then that nasser changed his surname to adopt a screen name - shaboo. 5 instrumental hip hop tracks, linked together in a truly unique style and fashion, this is much more than a beat tape. this is a journey into sound. for real. 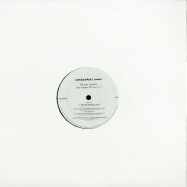 having previously reissued *i want you to know*, the 1991 gem from simonellis groove committee project, deep down slam now return with a remix package. 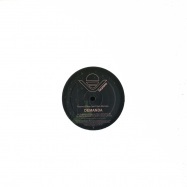 leading the way is italian house producer nicholas in collaboration with marcoradi, with the original s vibe very much intact but complemented by some fresh new beats and arrangement. the second remix comes from french house producer dj steaw who brings the usual quality and gives the remix the classic steaw touch we re used to know. 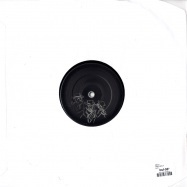 zurich based italian producer demetrio giannice conjures the spirit of vintage tom moulton on his remix and deep down slam have also included simonellis original bonus beats version from 1991 that was mastered by legendary nyc mastering engineer rick essig. 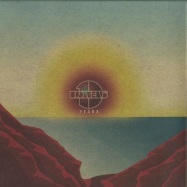 superb new four track ep featuring more super cool sun-kissed balearic rarities. a quality selection - dont sleep! 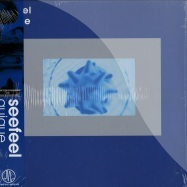 modern classics records imprint, in association with medical records, is marking the 20th anniversary of a unique record - seefeels quique. 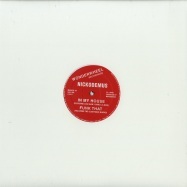 first time vinyl reissue. 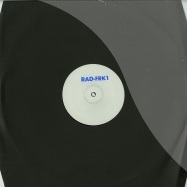 1.000 random copies pressed from first pressing (2.000) on blue wax. 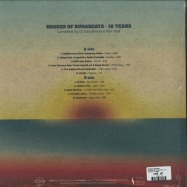 double-lp release housed in expanded gatefold tip-on jacket. 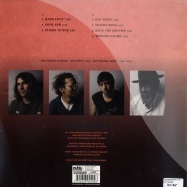 liner notes by dave segal interviewing original band members. 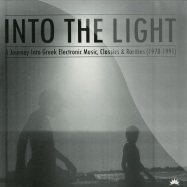 greek electronic music has been a much checked underground sound since the late 70s. 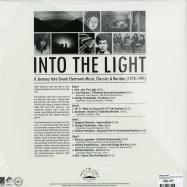 into the light roams over a wide radius of the output from this scene - merging synth pop & disco with ambient and new age. 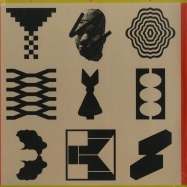 ltd to 600 copies. 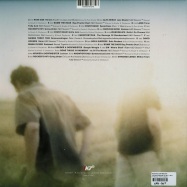 gatefold tip! 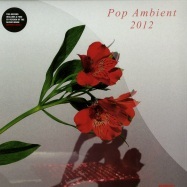 pop ambient 2012 begins in an unusually new but nevertheless somehow familiar fashion. 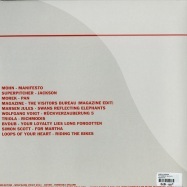 mohn with manifesto is the opening act. a manifest of slowness. 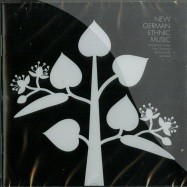 a slowness that jörg burger and wolfgang voigt have taken up as new mission. 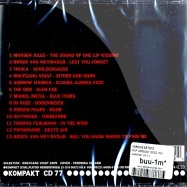 mohn is their new ambient-grunge-down-beat project, scheduled to depart on its official musical journey to middle earth early 2012. what follows is equally surprising: the old kompakt swashbuckler superpitcher is taking part for the very first time. 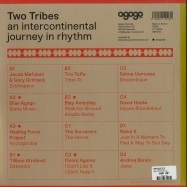 cd version of this album included. 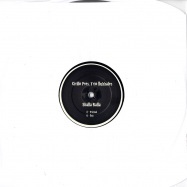 exactly a year ago we released the splitt ep er 0004.1 with chez damier s balance alliance. so this very special various artists ep comes to you as the follower of the reminded release as a double a side ep, called the various artist ep two pt.2!.with people on a1 marcello napoletano delivers an analog monster. the man from south italy doesnt really need to be introduced after his stunning releases on labels like mathematics, yore or rush hour. on a2 we re-introduce our first female producer in the family basels timnah sommerfeldt with her mix of fill me up (released on balance / ba006). 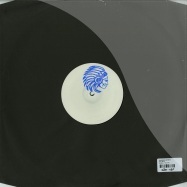 on the aa balance side we got two rookies on wax with the oldschol flavoured tune named da bass lover. produced by quike feat. lello di franco as a young italian producer combo. with changes demetrio giannice has gone through a maturing process, a downtempo track driven by two difrrent drumsequences, melodic synth lines, strings and a classic guitar with a balearic feeling. everything turns into a kind of background hidden hook taken from the forthcoming vocal version of changes. vocals by chez damier. few different versions will follow. strictly limited! 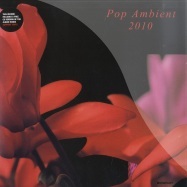 we say this every year but pop ambient 2010 is a defining moment for the series - a change in pace but a familiar face for those that have been yearning for our annual remedy. enjoy. 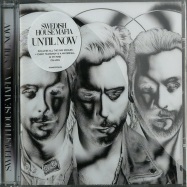 the vinyl version contains a free cd of the album !!! great latin / brazil flavoured deep vocal house !!! nice price deal !!! 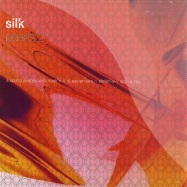 a must-have for fans of quality downtempo electronica! 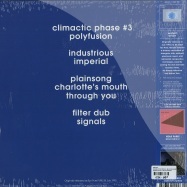 pop ambient returns. kompakts beloved series. 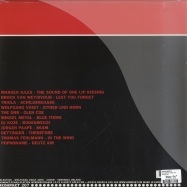 this is our other arena of bliss, always curated and carefully compiled by label co-owner wolfgang voigt (aka gas). 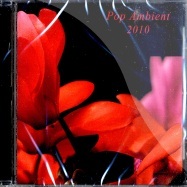 somber times call for more introspective sound scapes - >pop ambient 2011< continues its mission to slowly persuade its signature sound introduced over a decade ago. this year we see the series leaning towards a slightly darker complexion than its predecessors.